While some doubt their ability to complete a marathon, Pablo Ferrara is determined to cross the finish line. The fact Pablo is with us today is incredible. 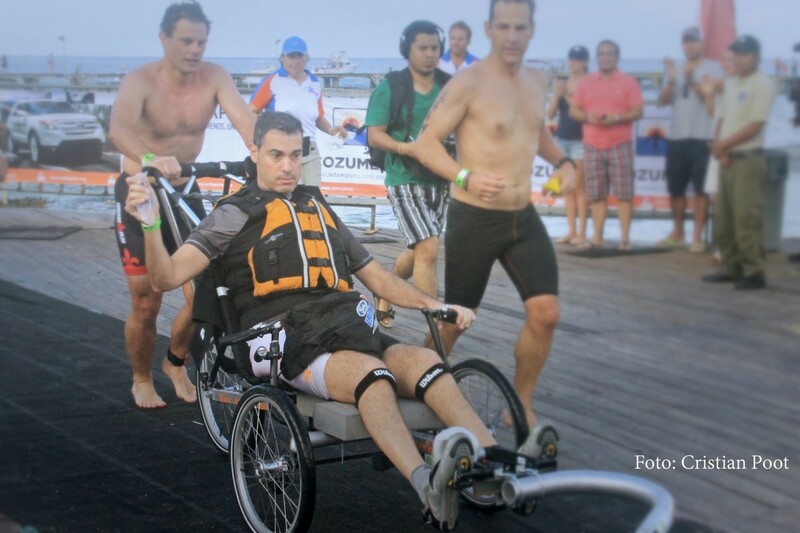 Diagnosed with ALS more than five years ago, Pablo is defying the odds and is completing astounding feats of strength. This Saturday, at the Inaugural South Padre Island Marathon, he will cross the finish line at Clayton’s Beach Bar & Grill. As the largest beach bar in America, Clayton’s is setting the stage for this monumental accomplishment. ALS, more commonly known as Lou Gehrig’s Disease, is a progressive neurodegenerative disease that causes muscle weakness, paralysis, and ultimately, respiratory failure. Sadly, many with this disease don’t survive. He’ll be participating in the South Padre Island Marathon in his racing wheelchair with a traveling medical team. Run by his side and learn Pablo’s journey of determination and willpower. – There is an estimated 450,000 people worldwide living with ALS. – Every 90 minutes, someone else is diagnosed. – Most people with ALS only live 2-5 years after their first signs of disease.